Fowl Stuff nest box covers fit many 5 gallon pails, but not all. 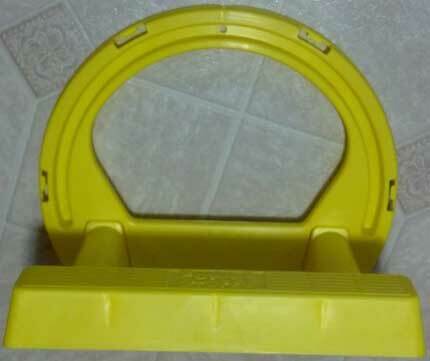 If you are buying the Cover & Perch to use with your pail, please take the cover with you to the store and check to see if it fits the pail before buying the pail. Premium Fowl Stuff nest boxes (pails/buckets) are 90 MIL polypropylene plastic injection molded for maximum strength and durability. 70  75 MIL economy plastic pails may be OK, but are not necessarily recommended. Fits Buckets with a Rim Diameter of 11-7/8"